Job openings can be researched online at the Architect of the Capitol website. Positions are listed under the Architect of the Capitol, the administering agency for the U.S. Botanic Garden. These positions assist USBG Staff in facilitating the Hands on Plant Science (HOPS) Program for DC youth between the ages of 7-12. This two-week program takes place outside in the National Garden. Program staff will gain plant science teaching skills and knowledge, with a special emphasis on hands-on learning. *This position is paid. The candidate must be at least a rising college senior to apply. *This position is paid. This candidate should be a teacher or an environmental educator. *This position is paid. This candidate must be at least a rising high school junior to apply. AOC internship opportunities are offered through both the Horticulture and the Public Programs Divisions. To research these opportunities please visit www.aoc.gov/careers and www.usajobs.com *These positions are paid and mainly available during the summer. 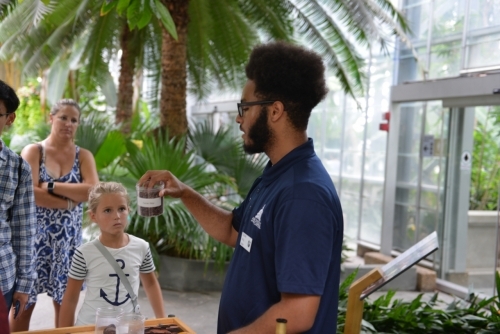 These positions offer high school students the opportunity to gain plant and environmental teaching skills through the facilitation of hands-on educational modules and programs at the United States Botanic Garden. *These positions are unpaid. Must be at least a rising high school junior to apply. 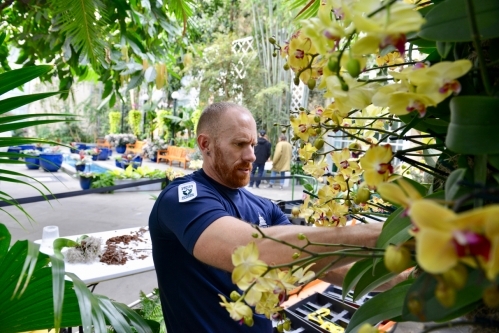 Thank you for your interest in volunteering at the United States Botanic Garden! Please see our Volunteer page to learn more about becoming a volunteer.